I am an unashamed advocate of the view that the music of the 1960s and 1970s, when I was growing up, was so ground-breaking that groups subsequently have battled to make an impact in the wake of what happened in those decades. 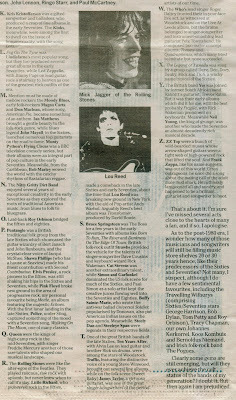 I wrote an A-Z of the best musos of that period and it is posted here. 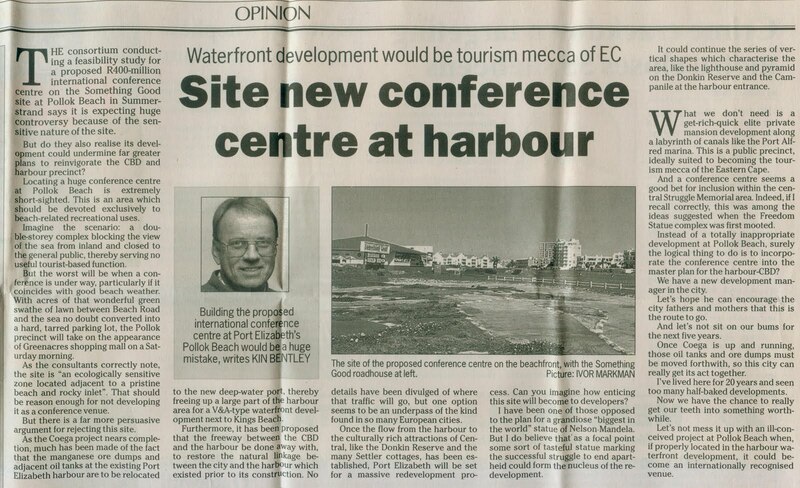 Also in 2004, I wrote condemning a plan to put a conference centre at Port Elizabeth's Pollok Beach. There are also a couple of art reviews I had published in the Herald. 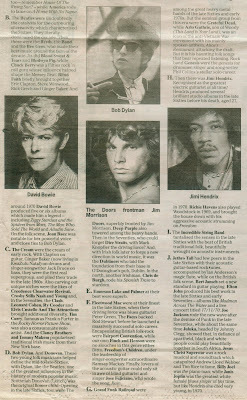 The second part of my piece on the greatest musos of our time. 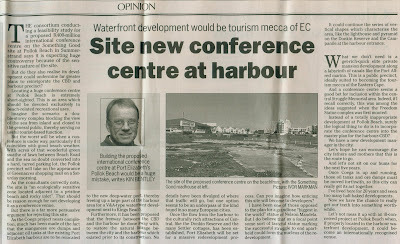 My piece on the conference centre plan, which appeared on August 31, 2004. 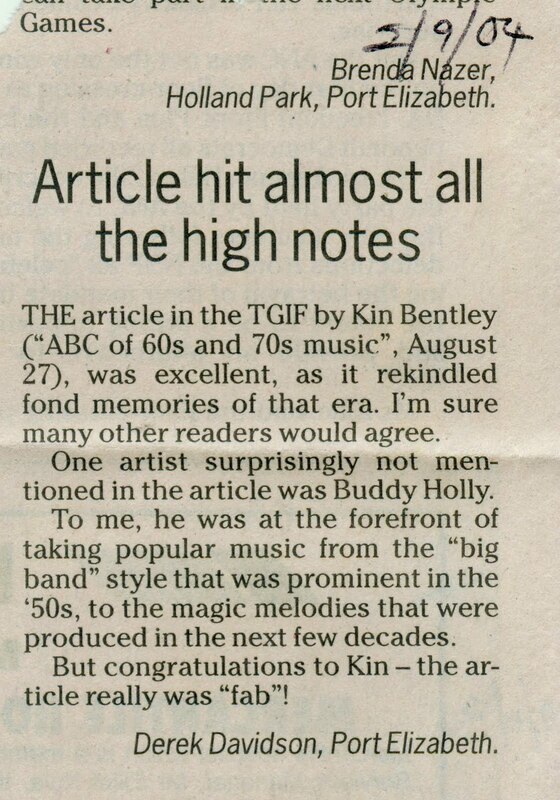 I got some support for my article on the musicians. 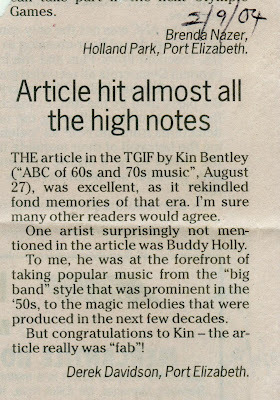 This letter, also in the Herald, appeared on September 6, in response to a debate on affirmative action covered in the previous posting. 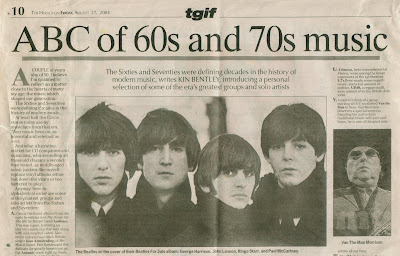 The wonders of the steam age! 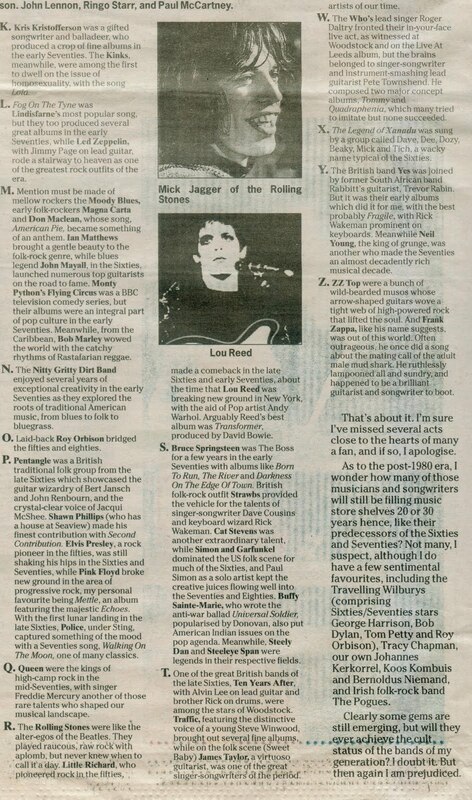 I got backing for my views on the conference centre in this letter from Brazil, thanks no doubt to the online edition of the Herald. 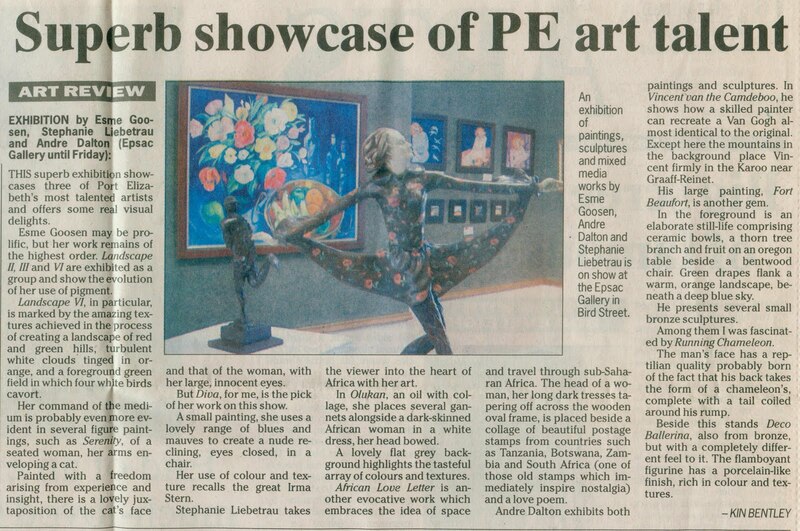 My review of an exhibition featuring top PE artists Esme Goosen, Stephanie Liebetrau and Andre Dalton, which appeared on October 6, 2004. 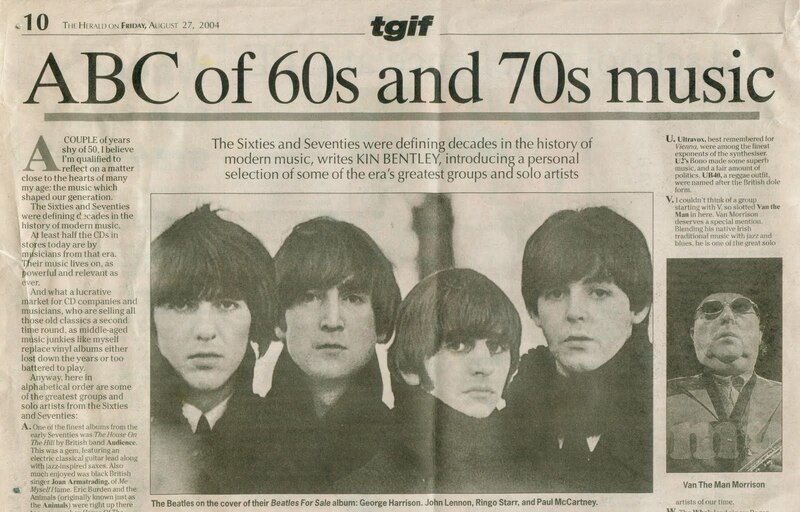 My review of an exhibition by Mara Sapera, which appeared on October 14.